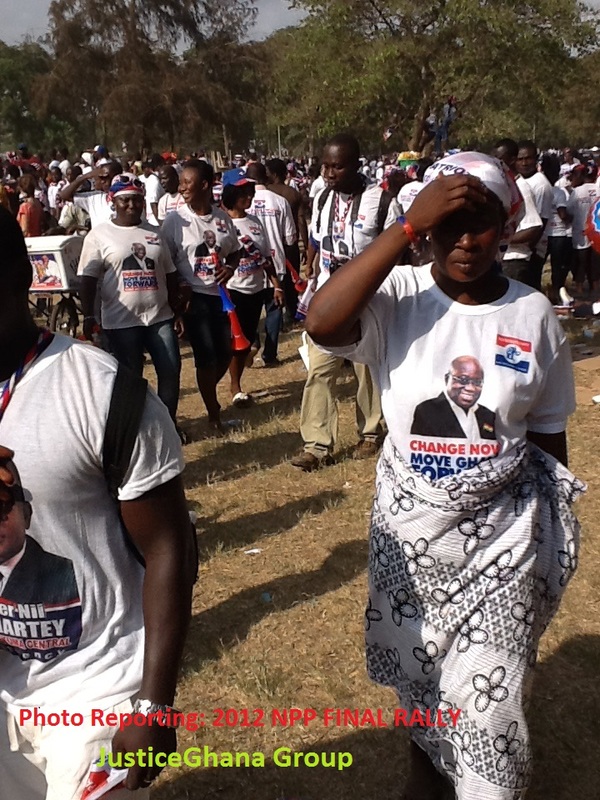 What’s Left with Nana Akufo-Addo? On Thursday, 27 February 2014, Ian Dunt, captured this heading on the politics.co.uk: “Facing facts? Salmond mulls the future after a 'no' vote”. This relates to the 18th September 2014 crucial referendum on Scottish’s independence from Britain, for which a day before that report, Alex Salmon- the Scottish first minister, is said to have openly contemplated his future in the event of a 'no' vote in the Scottish referendum, which suggests the first sign that his faith in his ability to win the vote may be lagging. Current polls put the 'yes' camp 12-points behind, yet the first minister states he remained confident of winning- insisting that he would continue to fight for another referendum even if he loses this one, too. In response to such accusations; President John Mahama, in the words of GNA, told his audience in the Central Region that: "When I was presenting the State of the Nation Address to Parliament, I said we will implement 'progressive free education’ and my checks at the Copyright offices indicate that no one has the intellectual property of free education.” But radioxyzonline quotes Political Strategist- Dr Kobby Mensah, as saying that the main opposition NPP owns the free SHS because it was idea on which the 2012 elections was fought and that the NDC’s intention to implement the policy strengthens the NPP’s earlier justification for it. He accordingly advises the main opposition NPP to pursue the same message in the 2016 elections and leave the electorate to judge rather than abandoning the whole idea. The ongoing fierce debate reflects the Ghana’s traditional woes- two legs good and four legs bad omens- predicted in our earlier article: “Why Mahama Must Accept the Free SHS Now?” Similar to the Ghana’s Independence struggles, two main strategies emerged- those of “Independence Now” as against that school of thought which held that “independence should be aspired “in the shortest possible time.” Heavens broke loose over this and it became a cliché that “if you are not with us then, you are our foe”. Accordingly, the very brighter promises that independence held for the Gold Coast, evaporated into uncompromising opposition and political dictatorship that metastasized into coups and counter-coups. Today, similar to the early post-independence days in Ghana’s, opposing political forces are at each other’s throat on radios, print and online media, insisting not only that the Mahama-led Government cannot be trusted with an unblemished implementation of the free SHS policy but also, are engaged with all sorts of name-callings and counter-accusations on a very crucial dream whose realization is long overdue. But who is to be blamed for this? Thinking that politics is a contest of ideas that seek to advance the living standards of the peoples, in its broadest sense, Heywood(2003) argues that it is the activity through which people make, preserve and amend the general rules under which they live. “As such, politics is inextricably linked to the phenomena of conflict and cooperation. On the one hand, the existence of rival opinions, different wants, competing needs or opposing interests guarantees disagreement about the rules under which people live. On the other hand, people recognise that in order to influence these rules or ensure that they are upheld, they must work with others,” Heywood writes. 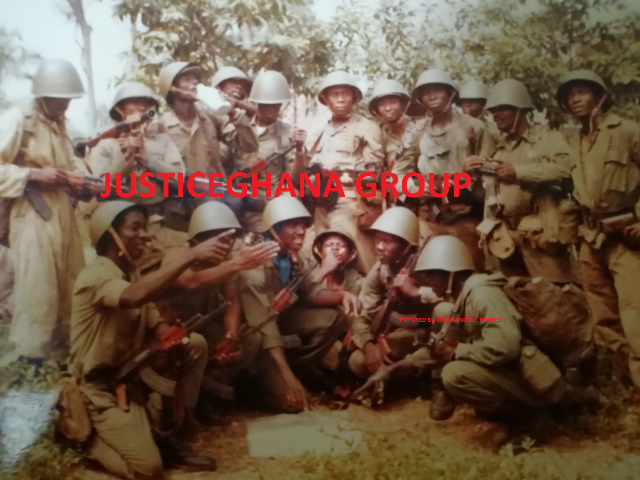 But working with others in good faith had always been the pitfalls of the Ghanaian politician. This is why the heart of the politics which in the words of Heywood, is often portrayed as a process of conflict-resolution, in which rival views or competing interests are reconciled with one another had been missing in all Ghana’s political attempts even today. However, politics, it is said, in this broad sense is better thought of as a search for conflict-resolution than as its achievement, since not all conflicts are- or can be - resolved. Thus so long as we remain as human beings, we shall certainly, have our differences on the basis of history, our upbringing and various beliefs. Respect, must therefore, always be the reminder. Ghana’s political landscape is littered with unrefined vocabularies and unsubstantiated allegations all in attempt to outwit our political opponents. Achieving post-electoral reconciliation, trust, goodwill, knowledge-sharing and recognition had been as distant and difficult as the Spanish War of secession. Which is why in their efforts to gain independence and probably, not to muddy existing cordiality thereafter, similar treatment is said to have been dished out by Salmond, to Olympic medalist Chris Hoy and Scottish comedian Susan Calman. The concerns here are the excesses that pop-up on the internet. "I would make the appeal that everyone participating in this debate should be conscious that we want to have a debate which is worthy of the importance of the decisions which are being made." "All of us know it's a function almost of the internet when people are participating in perhaps the early hours of the morning, that they don't choose their language as they would often in a public forum ... or when they were in conversation.” Nana Akufo-Addo is currently not a presidential candidate and little could be predicted whether or not the NPP national delegates might return him back to mainstream politics. According to Dunt, Salmond- the first minister had previously been criticised for failing to challenge the overly-aggressive behaviour by online Scottish nationalists, who are sometimes referred to as 'Cyber Nats'. But the John Mahama NDC-led free SHS policy might uncompromisingly, also encounter this: “Lee Ocran mocks School Heads; if Gh¢1.80 is insufficient, try Free SHS’ test. On 21 November 2012, the then Education Minister Lee Ocran, was quoted to have mocked head teachers who said the feeding fee being charged is insufficient and could affect the quality of food given to students. “If Gh¢1.80 is insufficient and could lead to poor quality of food to students, then what will the quality be like if it is free as the NPP is proposing under its free SHS policy?" Myjoyonline reported that the Minister gave a directive for the school heads to desist from charging Gh¢2.50 as feeding fee and revert to the Gh¢1.80. The contest between Government and the Conference of Heads of Assisted Secondary Schools (CHASS) over the Gh¢1.80 which in the quoted words from the Myjoy report, was said to be woefully inadequate and therefore, predestined to poor quality of food, raised this submission from the former Education Minister Lee Ocran: “I see, that is very interesting,” he said, laughing, “You know some people don’t want to pay at all. This one, they are paying and the headmasters are complaining that what they are paying will affect the quality of meal. If it were free, what will the quality be like?” in that episode, The Minister was quoted to have added: “It is time for heads of second cycle institutions to speak up against the NPP free SHS promise if they think the quality of education will be compromised. In its report: “Free SHS Will Cover Boarding Students – Prez Mahama” GNA writes that President John Dramani Mahama on Friday renewed government’s commitment to abolish fees for both day and boarding students of SHS in the 2015/2016 academic year. Details of this bid are yet to be unfolded. But Professor Jeanne Naana Opoku-Agyeman- the current Education Minister and once an IEA Debate Provost may be considering paraphrasing this from her predecessor: “People are paying and yet they are complaining about the quality of meals. What happens if you don’t pay at all? Because after all we are paying subsidies to supplement what they are paying.” The NAGRAT and GNAT- leading stakeholders in the country’s education, have also registered their opposition to the “progressively free SHS. Which stakeholders then, is the Government in consultation with? The Free SHS policy in Ghana is becoming like the Scottish Independence Referendum debate. In UK, the Standard Life- a savings and investments company- offering a range of long-term savings, pension and investment products, designed to help its customers save for their future and with almost 4 million people in UK, has become the first major employer to say it might move its operations into England if Scotland votes for independence. On the basis of the 2012 election result, we assume that Nana Akufo-Adoo, lost the Referendum on the Free SHS because of the deplorable educational infrastructure and the hard economic realities which appear not to have drastically, changed. So the NPP might politically, not want to return to its Waterloo if Nana Akufo-Addo were to succeed in his considered bid to lead the party for the third attempt. He might therefore, have to scrutinize other hidden constitutional provisions which indisputably, spark not only hope but also outsmarts President John Dramani Mahama’s projected Free SHS to be piloted in 2015. Our hearts would have of course gone to the plight of the street mental health patients which Dr Kwadwo Osei states it is being now addressed, not forgetting clean water, education & training and policies that seek to preserve the environment and the ecology. But these ones too, seemed to have been politically evaporated. President Mahama’s recent visit to Eastern Region aboard helicopter states so. What, then, do you think is left with Nana Akufo-Addo where from bottom-up, delegates overhaul its executives and presidential hopeful- John Alan Kwadwo Kyeremateng, asserts with optimism that the accession of his perceived disciple to his political kingdom- Mr. Paul Afoko, on the NPP’s chairmanship throne, “signals the coming change”? In his interview with Oman FM Sasu Manu in Tamale, dated 12 April 2014, Alan spoke about a wide range of issues including a simmering propaganda within the NPP notwithstanding the yearnings for his presidency everywhere he did go. He also made mention of the political concession in the night of 23 December 2007, at Legon Hall, to Nana Akufo-Addo, who he describes a senior brother. On that day, Nana Akufo-Addo was elected as the NPP's 2008 presidential candidate at the NPP congress with 47.96% (1,096 votes) of valid votes. This was below the legally mandated 50% +1 vote, to lead the party. We mention in passing that with 738 valid votes count under his sleeves- representing some 30+ %, Alan, could have hinted a shot but bowed to Nana Akufo-Addo. This came at the heels of some two-hour suspended voting which originated from the accusation that the said Paul Afoko and the newly-elected NPP National Chairman, whose recent bid, generated various hues and cries, was allegedly, distributing money to influence delegates to vote for Alan Kyeremateng. Delegate Afoko disputed this accusation alleged to have been orchestrated by the then NPP National Organiser- Lord Commey, who without a shred of evidence submitted that voting rules had been compromised. Disbanded Afoko was accordingly, escorted off the congress grounds distributing dollars and it is still unclear whether that allegation was revisited when he recently availed himself for vetting. Political dynamics are unpredictable and indeed for seconds. So it is not surprising that Afoko is now NPP’s internal elections front-man, capable of achieving everything relating to NPP’s ideological goals. In 2007 fracas, Joy News correspondent, Evans Mensah, quoted the current NPP chair, as saying that he Paul Afoko had only visited the gents when some delegates and aspirant Kwabena Agyei Agyapong- the recently-elected NPP General-Secretary, accosted him and accused him of distributing money (dollars). The acrimonies that followed had well been documented. But from journalistic interest it must be reminded that although Nana Addo triumphed over some 17 contestants and went on to secure 49.77% vote in the first hurdle, he stumble below the 50+1% vote, prompting a penalty shoot-out where J.E. A. Mills-led NDC narrowly-won with 50.23% out of the 9,094,364 total valid votes cast. 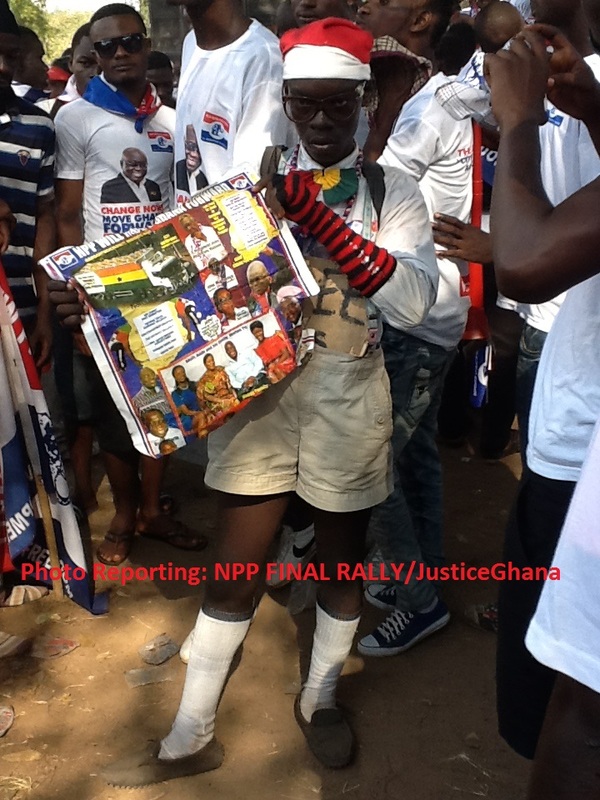 In the 2010 expanded (130,000) delegates, Nana Addo had 83,361 (77.92%) of the valid votes cast. His immediate competitor was Alan Kyeremateng, had 21,820 votes (20.40%). The rest are as follows: Isaac Osei: 1,109 (1.04%); Professor Frimpong-Boateng: 398 (0.37%) and Rev Kwame Koduah: 294 (0.27%). Yet the perceived unflinching support and solidarity of his able and trusted Bawumia, Jake Obetsebi-Lamptey and Kwadwo Owusu-Afriyie, in December 2012, Nana Akufo-Addo had 5,263,286 (47.74%) as against John Mahama’s 5,573,572 (50.70%). The EC’s disputed total valid vote cast was 10,995,262. Alan, including of course, other NPP presidential hopefuls seem to suggest that they have the key to unlock the some 3% electoral treasures that have arguably, consistently eluded the NPP and therefore, must be given the chance. But like Salmond & Co’s Scottish Independence advocacy, another puzzling question that begs for answer is: “What is Left with Nana Akufo-Addo’s 70%+ NPP delegates’ base?” In 2010, Alan scored a distant 20%+: any increase of the same in 2014, must be a worry to Nana Addo.